Buy this and your school gets €1.22 to spend on books Orders of €10 or more will earn 25% of your order value back in Scholastic Rewards for your school. Show off your talents as a playground poet. Potty rhymes to make all your friends giggle. An entire book of silly schoolyard verses all about your very favourite place! Hear the song of the starving dinner ladies. Discover the Head’s secret hideout. Find out what really happens in the staff room. 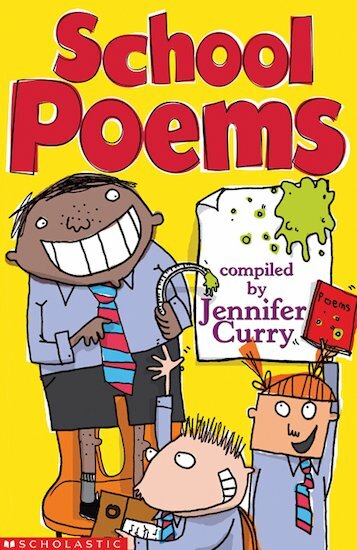 Heaps of super-funny illustrated poems by Grace Nichols, Tony Mitton, Benjamin Zephaniah and other greats. Now – who’s that laughing at the back? I love all the poetry books by Jennifer Curry and I want this one too!